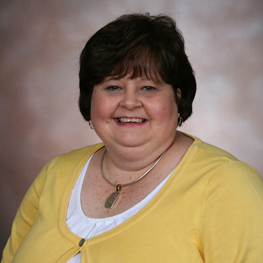 Lisa Hess is the Senior Business Office Clerk at the Appalachian College of Pharmacy. Lisa is a Buchanan County native and a 1982 graduate of Garden High School. Her class was the last to graduate from the building that is currently ACP’s Garden Hall. She received her A.A.S. in Business Management from Southwest Virginia Community College. Prior to joining ACP in 2007, she was the Office Administrator for Excel Mining Systems, Grundy VA Division, for more than 13 years. Lisa resides in the community of Rowe, VA with her husband, Jimmy. She has one married daughter, LeAnn, and a host of other children including nieces, nephews, and the students here at ACP. She enjoys working and participating in church, school and community activities. She and her husband serve on local committees of the NWTF and RMEF. They also enjoy visiting the residents of local area nursing/retirement homes on a regular basis. Lisa enjoys cooking and spending time with family and friends, reading, being outdoors and extending a helping hand to others.